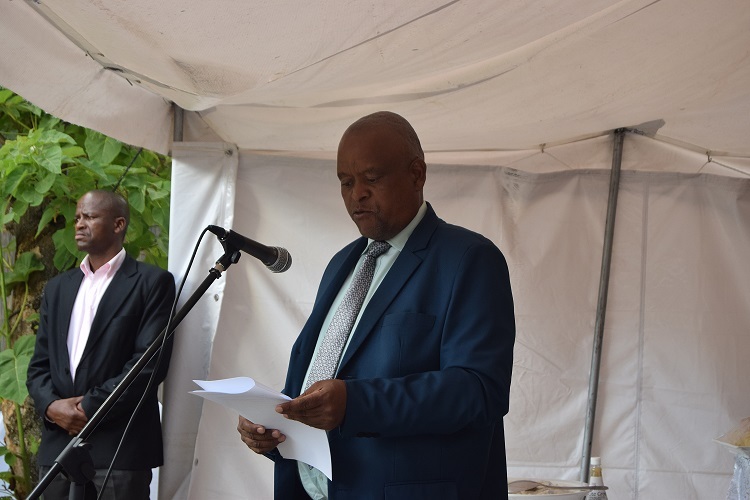 Honourable Deputy Minister of Local Government and Chieftainship Honourable Kotiti Liholo, expressed a strong appreciation of PISA presence in Lesotho since May 2016. Deputy Minister further expressed his profound gratitude to the Federal Republic of Germany for the valuable cooperation and support to various sectors of Lesotho economy, including capacity building for Local councillors, development of frameworks for decentralisation support for the 2005 and 2011 local government elections and development of Lesotho Decentralization Policy. At the same occasion, the Deputy Minister bemoaned the refocus of the Federal Republic of Germany in its bi-lateral assistance cooperation programme. “This resulted in a situation whereby Lesotho was taken out of the list of beneficiary countries for German assistance. This meant that Lesotho would only be covered under Germany’s Regional projects.” The deputy minister said refocusing Germany’s bilateral assistance programme has had a painful reality for Lesotho. The event was graced by the presence of Honourable Ministers and Deputy Ministers from fvarious government ministries, GIZ Country Director from Pretoria, Principal Secretaries, District Administrators, Diplomats, PISA stake holders, PISA National Steering committee and Staff. Honourable Liholo ended his remarks by wishing everyone a merry Christmas and a happy 2018.